In the 1980’s, American consumers began favoring chicken breast, making wings an inexpensive white meat option that bar owners could salt up to promote beer sales. It remains popular especially for parties and football season! We think you can’t go wrong with some homestyle Buffalo sauce. 2. 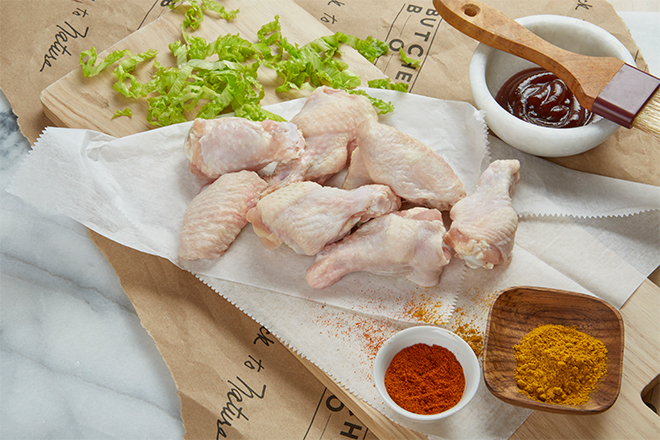 Place Chicken Wings on sheet pan. Roast in oven for 25-30 min, or until meat thermometer inserted into thickest part reads 165°F. Remove from oven.